!! OMG, how cute: Kitlers !! 5 Comments on "OMG, how cute: Kitlers"
The cat looks so non pluss. kinda cute in a weird way. 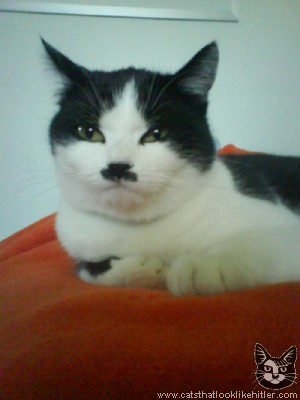 Cute…but a good many of them look more like Groucho Marx than Hitler.